The CLPE's Power of Reading programme introduces young people to the kind of books that makes them ask questions and think. 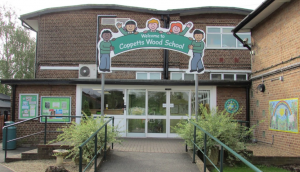 A whole lot of really good questions came from young friends in Poppy Class at Coppetts Wood school. Here's a selection of them, and some of the answers, with thanks to everyone. There's nothing a writer likes better than to meet readers who really want to look beneath the surface of the words. Who inspired you to write this book? I didn’t know that it would be a book, but I was dong writing workshops with a school in Devon, near Exeter, and they called their festival of poetry ‘Extreme Imagination’. (Yes, a pun on ‘Exeter’…) We thought together about extreme places, sports, food… and environments. It started from there, with the children of a class about your age. What made you use ‘Dark Sky Park’ as your title? Did you have different titles in your mind? Choosing a title is a difficult decision. But sometimes one just comes to you, and you realise that the book has ‘found itself’. Seeing a really dark night sky, with all the stars in it, is such a rare experience these days, especially if you live in the city. It takes your breath away. It makes you think in a different way about where we are in all that space. In a few parts of the country, people are discovering places with no street lights, where you can see that, and the call them dark sky parks. (And yes, OK, I’m a poet: I like the way ‘dark’ rhymes with ‘park’.) The title turned up quite late on. I was trying out all kinds of title, all to do with ‘life on the edge’, but none of them quite clicked, if you see what I mean. The thought of the ‘edge’ does creep back in in the sub-title ‘poems from the edge of nature’. Why did you theme the book ‘Dark Sky Park’ on nature? Big question... I’m tempted to answer with a short, big answer: just because nature is. What I mean is: Seeing that we are a part of nature, just one species of humans among many other species on this earth, is an awesome thought. And everyone knows now that we have to be careful with the planet – to give the other living things on it more care and respect. Why did you choose to compare Planet Earth to a ‘rodeo of stars’? It’s a surprising line, isn’t it? It surprised me when I found myself writing it, but sometimes it just comes, and you trust it. Afterwards, I could see the reason why: thinking about the universe makes me realise that this planet is extremely small, and it’s whizzing around on a rather wobbly orbit; things change all the time, so we’ve had ice-ages and times of desert heat, as well as the annual seasons. Now, we humans are making the climate even more unstable. Like the cowboys (and cowgirls, these days) in Wild West rodeos trying to ride wild horses or bulls, we need to hold on tight! How long did it take you to write your book ‘Dark Sky Park’? It's hard to answer this. The first ideas came out of working in a school class maybe five years ago… then the ideas and the poems that came out of them went underground for a couple of years, waiting to bump into the next thing they needed. That next thing was working with the National Museum in Cardiff, meeting all that science. After that, I was working hard on it for maybe three months then, writing poems most days. But the thing about being a poet is you’re never doing only one thing. There’s other work, and life, and friends, and family. Do you have any tips for someone who wants to become a poet? Two tips, really... Get a private notebook, and write a lot – write and leave it in the notebook, then look back on it later, change it, add to it. Leave plenty of spaces round the edges where it can grow and go on growing. Watch it change. Oh, and read a lot, of all kinds, everywhere. Let your head fill up with what you read. (I think that’s more than two things, isn’t it?) Enjoy.